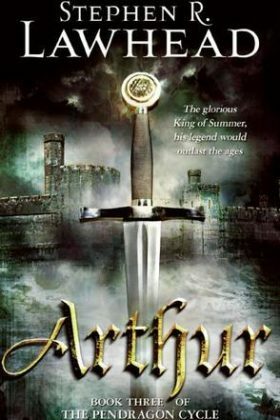 He was Arthur, Pendragon of the Isle of the Mighty. His courage would be lauded; his enemies, legion; his reign, legendary. Yet, in the midst of virtue, an evil would arise to challenge Britain’s most brilliant Crown. Book 2 of The Pendragon Cycle series, medieval fantasy for adult readers. The glorious King of Summer. His legend would outlast the ages. The Sword of Britain. While many strove to claim it, one hand alone could remove the blade of Kingship from its stone sheath. He came — a raw youth among ambitious lords too blind to recognize their king. The songs of Taliesin the master bard had foretold his rising. The vision of Merlin the prophet would guide him. He was Arthur, Pendragon of the Isle of the Mighty. His courage would be lauded; his enemies, legion; his reign, legendary. Under Arthur, by wisdom as much as might, Britain would unite. Through Arthur would arise a kingdom of peace, prosperity, and righteousness — the long-awaited Kingdom of Summer. Yet, in the midst of flourishing virtue, an evil would arise to challenge Britain’s most brilliant Crown. Book 3 of The Pendragon Cycle series, medieval fantasy for adult readers.